How Can an MBA Degree Be Helpful to Doctors and Other Medical Personnel? Home » Blog » Articles » How Can an MBA Degree Be Helpful to Doctors and Other Medical Personnel? After spending more than a decade in college, medical school, and residencies, physicians enter the profession ready to help sick and injured people solve medical problems. However, many physicians are not prepared to tackle the biggest challenge—the business of healthcare. Business is an increasing part of medical professionals’ daily work. As hospitals increasingly focus on profitability, prescription drug costs continue to skyrocket, and patients see higher bills for medical insurance, doctors and other medical personnel are stuck in the middle. With medical institutions worldwide placing an even stronger emphasis on leadership and business acumen, many physicians are turning to MBA degrees to learn essential business skills. “Confronting the contemporary challenges facing healthcare delivery—variable clinical quality, high costs, and poor patient experience—will require skilled physician leaders who can seamlessly blend clinical knowledge and management acumen. 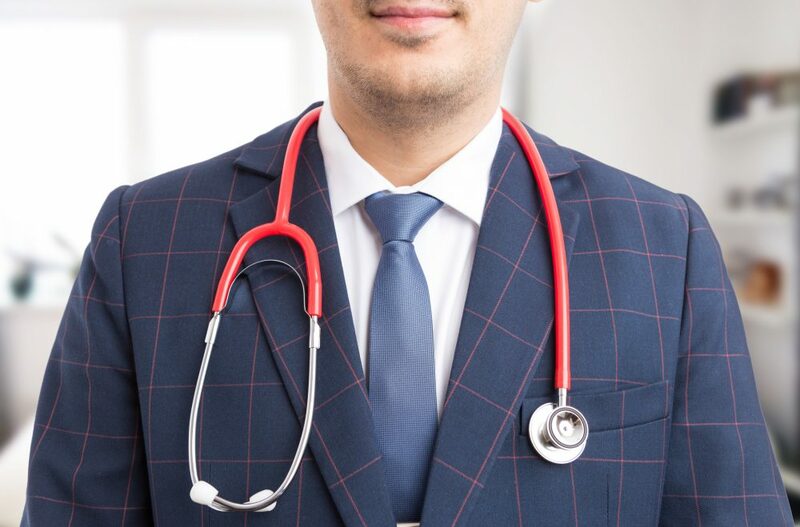 Many observers have argued that formal management and leadership training for physicians is an important strategy to address this need,” researchers said in “When Doctors Go to Business School: Career Choices of Physician-MBAs,” published in The American Journal of Managed Care. “Although management education is slowly being integrated into medical school curricula, the prevailing approach for teaching these skills remains in Master of Business Administration (MBA) programs,” the journal authors continued. Earning an MBA for doctors opens career opportunities beyond medical practice, providing high-level management skills and strategies essential for all professionals. Physicians and other healthcare professionals who earn an online MBA degree from Washington State University’s Carson College of Business have the bonus of learning from some of the nation’s leading business authorities. Children’s Hospital and Medical Center in Omaha, NE, said all doctors could benefit from earning an MBA, particularly those considering opening a private practice. “Patients are often referred to as ‘healthcare consumers,’ so it’s hardly surprising that hospitals and medical practices have shifted from a ‘practice of medicine’ mindset to a ‘business of healthcare’ approach,” according to “The Business Of Healthcare: Should Physicians Get An MBA?” on the hospital’s website. A medical practice is a business, so running one without formal business education could cause problems in areas that include financial management, personnel, and regulation and compliance. When one location turns into two or more, business concerns can be compounded. A formal graduate business degree provides vital information for success. In 2015, 92 percent of physicians worked in a hospital rather than private practice to avoid the concerns (including financial and regulatory) that come with private practice. However, 73 percent of independent physicians would prefer to maintain their private practice if it can remain profitable. An MBA for doctors provides peace of mind that comes with being able to optimize profits while remaining independent. A 2014 study found that the average doctor spends 8.7 hours per week, or 16.6 percent of working hours, on administrative tasks because of the implementation of electronic health records and insurance demands, among other things. An MBA provides doctors with the knowledge and skills to cut through red tape to streamline workloads. “Doctors spending more time on administration had lower career satisfaction, even after controlling for income and other factors,” researchers said in NCBI’s “Administrative work consumes one-sixth of U.S. physicians’ working hours and lowers their career satisfaction.” “Current trends in U.S. health policy–a shift to employment in large practices, the implementation of electronic medical records, and the increasing prevalence of financial risk sharing–are likely to increase doctors’ paperwork burdens and may decrease their career satisfaction.” The skills learned in an MBA program can help mitigate these increased demands. “A physician leader has instant credibility with both clinicians and managers, making it easier to bridge that gap between both parties. Managers are more likely to trust someone with some business acumen, and physicians are more likely to trust someone who understands the daily clinical issues they face. Having a physician be a part of administrative discussions also helps protect other physicians and related clinical interests,” Dr. Vig said. Medical professionals who earn an MBA have advantages over their healthcare colleagues, including stronger management skills, business acumen, and information technology training. Course work in strategic leadership, organizational design, and business analytics can allow doctors and other medical professionals to move beyond clinical work into administrative and leadership positions. An MBA degree enables medical professionals to step into the future of healthcare. Washington State University’s Carson College of Business offers an online MBA degree program where physicians and other medical professionals can learn essential business skills and know-how that can help advance their careers. The program prepares graduates to become influential leaders in whatever business ventures they opt to pursue. Students can choose from a general track or one of four concentrations—marketing, finance, international business, or hospitality business management. The university also offers each concentration as a nine-hour graduate certificate. The course work is completed entirely online, allowing busy professionals to continue their careers and personal responsibilities. The MBA program can be completed in as few as 22 to 29 months. WSU online MBA students and alumni come from around the world and across a variety of industries, including healthcare. For more information, contact Washington State University now.